Local human rights and independent media sources have reported that an Indonesian Army (TNI) unit has arrested seven non-violent activists in Serui on January 16, ahead of major planned demonstrations. The raid on the heavily targeted village of Mantembu, on Yapen Island, was carried out at 0830 am local time by Kostrad Unit of Indonesian Army led by Corporal Gidion Karubaba, arrested the seven for allegedly “supporting Papuan independence”, according to local human rights sources. No information was received if those arrested were subjected to mistreatment during their arrest, however Mantembu has been long targeted with extreme brutality by Indonesian security forces seeking to quell pro-independence sentiment. 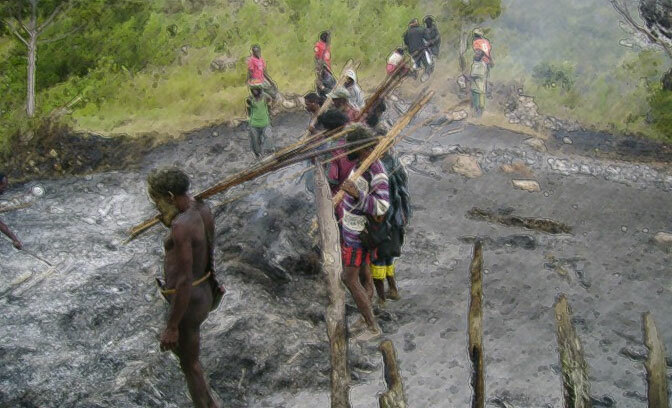 Regular raids and house burnings are arbitrary conducted, and the village has seen one of the highest rates of oppression of any single village in Papua. The ex-political prisoner Yawan Wayeni, who was disembowelled, taunted and left to die whilst being filmed by Brimbob paramilitary police in Mantembu in 2009, has his death seen by the world on a Youtube video that galvanised awareness of the systemic brutality of the Indonesian occupation forces. The arrests came the day before large demonstrations for Papuan basic rights were to be held on January 17 in Yapen and Manokwari, organised by activists from the Federated Republic of West Papua alternative government. Harrowing accounts of terror and intimidation are emerging from villagers and human rights workers in the remote Paniai district in West Papua overnight, as a massive Indonesian military assault against National Liberation Army guerrillas continues. Local human rights and church sources are reporting that ordinary villagers are being subjected to significant human rights abuses by a combined Indonesian police and military force, and have called for immediate international intervention in West Papua to stop the violence. Over four full strength combat battalions of Indonesian army (TNI) Kostrad commandos from Battalion 753, Brimob paramilitary police, and elite counter-terrorism troops from Detachment 88 – all units armed, trained, and supplied by the Australian Government – were deployed in an offensive to surround the headquarters of the Paniai Free Papua National Liberation Army (TPN-OPM), under the command of General Jhon Yogi. Punitive village burnings and raids are continuing in remote villages around the TPN/OPM headquarters of Markas Eduda. At the time of writing, seventy-five houses, six schools, and about 25 other buildings have been recorded as burnt down in a total of 27 villages by Indonesian security forces. Tapupai Gobay (30) was shot in the chest. Tawe Bunai Awe (30) head crushed*. Uwi Gobay (35) was shot in the abdomen. Wate Nawipa (25) was shot in the back. Martinus Gobay (29) head crushed*. Owdei Yeimo (35) was shot in the back. Ruben Gobay (25) was shot in the abdomen. Paul Gobay (42) was shot in the abdomen. Bernadus Yogi (23) was shot in the chest. Demianus Yogi (15) was shot in the back. Simon Kogoya (40) was shot in the abdomen. Simon Yogi (30) was shot in the head. Luke Kudiai (25) was shot in the chest. Paschal Kudiai (15) hit by a bullet in the head. Martinus Kudiai (30) was shot in the hand. David Mote (40) was shot in the thigh. Amandus Kudiai (43) was shot in the arm. Yohan Yogi (21) was shot in the leg. Mon Yogi (20) was shot in the back. Credible reports have also confirmed that two civilian “company” helicopters were provided to Security forces, and were allegedly used to drop live grenades and chemical dispersal weapons onto villages surrounding Eduda, and strafe villages with sniper and machine-gun fire on December 13, 14, and 15. Several independent witnesses have claimed to West Papua Media, and reported elsewhere across social media, that the helicopters are well known in the area for local non-military operations. Witnesses interviewed by local human rights workers have claimed that at 0800 local time on December 13, the Company helicopter launched CS gas salvos into the village of Markas Eduda, the TPN headquarters, to flush out villagers and guerrillas. According to a separate account sent to West Papua Media by TPN/OPM sources, the helicopters landed troops and occupied Eduda for most of the day, with guerrillas taking to forests in retreat. 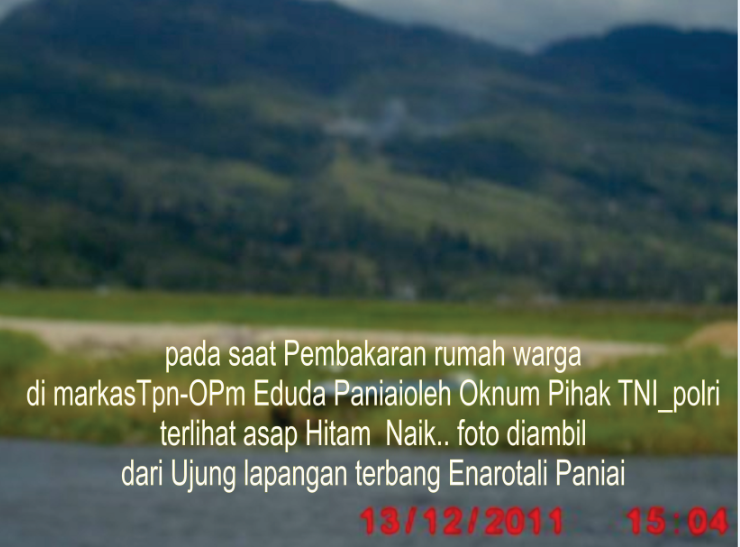 In retaliation, TPN/OPM fighters shot at the helicopters, unsuccessfully, and several hours of intense fighting ensued which was suspended when Free Papua fighters witnessed many village houses and schools being simultaneously burnt in the surrounding area. According to the TPN/OPM source, villages were set on fire around Eduda and gunshots were heard for the rest of the day and through the night. 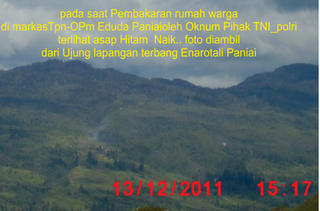 Free Papua fighters have retreated to the forest and are awaiting orders for their next moves, according to the source. Villagers from across Paniai are continuing to be displaced by the operations, forced to flee en masse into areas around Enaratoli, on the opposite side of Lake Paniai. As reported on December 14 by West Papua Media, over 131 villages have been abandoned causing at least 10800 Paniai villagers to flee the military operations. ANNA DEGEI Age 47, died 1030pm, 14/12/2011. No food, sanitation or medical aid has been made available by any government agency to give relief to this large number of internally displaced people. Local teachers have also been in contact with West Papua Media’s stringers. Since 27 November 2011, teaching and learning activities have been suspended indefinitely in all village schools surrounding Markas Eduda. Schools such as SD YPPK in Badao Dei, Yimouto, and Obayauweta villages have been suspended, as has Primary, Junior High, “shop” (trade school) and Elementary Instruction in the towns of Dagouto, and Uwani. The students of these schools have been evacuated with their parents. 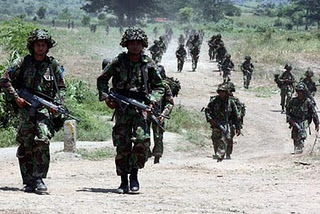 On December 15, the army / police battalions have returned to the villages of Uwamani, Dei and Obaipugaida to prepare a major attack for a new phase of the campaign. 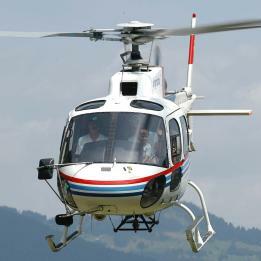 It is believed strongly by local activists that the “company” helicopter will still be used in addition to Unconfirmed reports have been received by West Papua Mediathat the Indonesian arsenal against civilians in Paniai includes one Mil Mi-24 SuperHind gunship, one of two usually stationed near Jayapura. The offensive was ongoing throughout December 15, with Indonesian security forces opening fire in many locations around Eduda. Overnight, from 0200 to 0600, heavy gunfire erupted across the Degeuwo River valley. Human rights sources in villages and also with refugees conveyed reports that people were being shot at by snipers if they were moving anywhere after dark, even to collect, food, water, or to secure pigs. It is not known how many people were killed during the night, but local source are expecting the toll to rise. According to a report provided tonight by a local pilot, Indonesian security forces shot eleven times into houses in the village of Gekoo, where mourners were gathering for a the funeral of a local man who died from illness. Villagers alleged that some bullets even landed in their cooking fires, exploding their food pots. Witnesses reported a series of helicopter raids from 11am on December 15, with helicopters being used to machine-gun the villages of Obaiyepa and Uwaman. Human rights workers have been unable to access these areas to see if any casualties were sustained. Helicopters landed at Eduda ceremony ground 11 times from 11:00 to 13:00 hours, and residents suspect logistics, ammunition and additional forces were being deployed. The area around Paniai has been long subject to conflict and heavy Indonesian military offensives against civilians, however in recent months the Indonesian police have taken charge of punitive operations against West Papuans harbouring pro-independence sympathies. The conflict has recently escalated over land rights and the control of local gold mining operations, with Brimob deeply involved in both joint venture security, and direct involvement in gold businesses and associated activities. The Australian gold mining company Paniai Gold is also operating in the Degeuwo River region. Civilians in the foothills are in panic and reliving the trauma of past operations, according to the report from a local pilot. “They are concerned emotions again will open in Wegeuto of the 1982 war Memoria Passionis (memory of suffering) and again when the Army conducted ongoing military operations (DOM – Daerah Operasi Militer) from 1989-1993 across the Badauwo area, near Eduda, ” the source said via email. He explained that during the last DOM period the army accused and stigmatised civilians as being members of the TPN-OPM, and subsequently tortured thousands of villagers. Human rights sources at the time documented villagers being waterboarded / tortured for 24 hours; residents’ houses burned, raped girls and married women, extrajudicial killings, burning off fingers, moustaches and beards, pulling fingernails and quartering villagers with armoured vehicles. Troops also conducted burning and destroying food gardens, killing livestock and pets, and fouling water supplies. Residents are concerned that the current angry and emotional behaviour by the TNI-police toward TPN / OPM will be vented on civilians living on the slope of the hamlet Wegeuto especially, directly adjacent to Markas Eduda. In a message delivered to West Papua Media local villagers have pleaded for International Advocacy to get Military and Police immediately withdrawn from Eduda and Paniai in general. Reports from Tuesday described the exercises that the Australian trained, funded and armed Brimob Gegana unit, upon arriving in Enaratoli proceeded to take over the streets immediately, causing normal town life to be immediately disrupted as local people emptied the streets to hide. On December 6, Human rights, church sources and local activists had independently claimed that 542 people have been forcibly evacuated by troops from the Special Gegana Brimob “Counter” terrorist police unit. The villages of Dagouto and Kopabatu and surrounding hamlets in the Dagoutu Paniai district were evicted after the Gegana unit decided it wanted to expand a new headquarters facility to deploy in the offensive against Jhon Yogi, the local leader of the armed guerrilla unit of the National Liberation Army (TPN-OPM). The Gegana unit, a specialised elite anti-terrorist unit of the Indonesian police has been deployed heavily across Papua to crackdown on pro-independence activists engaged in non-violent resistance, as well as to eliminate the armed struggle groups. Gegana is one of several elite Indonesian police units that receives arms, funding, and training from the Australian Government, and was blamed on December 3 for burning down a church and school in Wandenggobak, in the highland regency of Puncak Jaya. 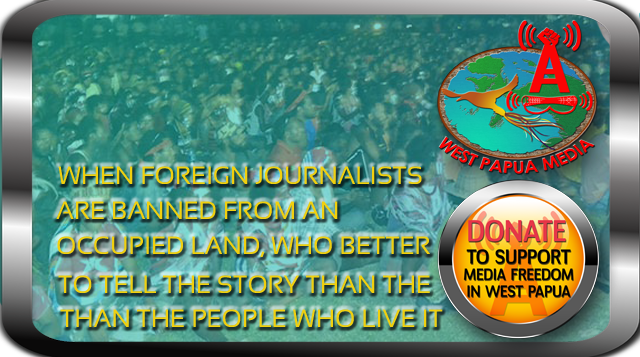 The situation is ongoing and developing and West Papua Media will continue to closely monitor events. These written warnings are a slap on the wrist. They do not provide accountability for the deaths of three people, or for the use of excessive and unnecessary force against a peaceful gathering. The fact that eight Indonesian police officers involved in a violent crackdown on a peaceful gathering that left three dead have only been given written warnings, is a failure of human rights accountability, Amnesty International said today.The warnings were given after an internal disciplinary hearing on 22 November found that the officers violated the police Disciplinary Code.On the afternoon of 19 October 2011, police and military units violently dispersed peaceful participants of the Third Papuan People’s Congress, a nationalist gathering being held in Abepura, Papua province. The bodies of Demianus Daniel, Yakobus Samonsabara, and Max Asa Yeuw were later found near the Congress area. “These written warnings are a slap on the wrist. They do not provide accountability for the deaths of three people, nor for the use of excessive and unnecessary force against a peaceful gathering,” said Sam Zarifi, Amnesty International’s Asia-Pacific Director. Some 300 participants were arbitrarily arrested and ill-treated at the end of the Congress. Most were released the following day but six have been charged and are currently awaiting trial. Amnesty International has called on the authorities to act on the findings of the Indonesian National Human Rights Commission (Komnas HAM) that rights violations were committed by security forces, and to prosecute those responsible. “Even though the Indonesian authorities have a responsibility to prosecute human rights violators, this is yet another example of how in Indonesia, human rights crimes committed by police officers never reach civilian courts, but are dealt with through inhouse disciplinary hearings,” said Sam Zarifi. Amnesty International also urges the Indonesian authorities to set up an independent police complaints mechanism to deal with human rights violations by police officers. Current bodies such as the National Police Commission or the National Human Rights Commission do not have the powers to deal effectively with complaints about police abuses, nor to provide reparations to victims. A Komnas HAM investigation team found a range of human rights violations were allegedly committed by the Indonesian security forces on 19 October, including opening fire on the peaceful Papuan gathering and beating and kicking participants. It was reported on 7 November that the President’s office had rejected the Komnas HAM findings, stating that the police were still handling the case. On 22 November, an internal police disciplinary hearing in Jayapura, Papua found the former Jayapura Police Chief Iman Setiawan guilty of violating the Disciplinary Code for “his inability to co-ordinate police officers under his command”. Seven police officers from Jayapura City were also found guilty of violating the code for not “protecting and servicing the community with the best of their ability” and “degrading the honour and dignity of the state and the police”. They were all each given a written warning. The disciplinary hearings for the seven police officers were reportedly held behind closed doors. 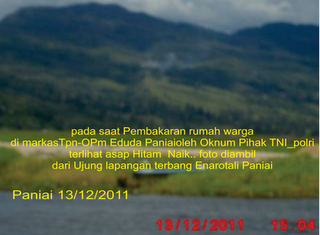 Bintang Papua, 6 November 201112 Civilians torture by security forces? Komnas HAM demands clarifications from army commanderTwelve civilians in Kurulu, Jayawijaya are thought to have been tortured by members of the security forces on 2 November 2011 in violation of legal procedures., said Matius Murib, the deputy chairman of Komnas HAM Papua branch, in a statement to Bintang Papua. He said that the commander in chief of Cenderawasih Military Command, Major-General Eri Triassunu investigated members of the security forces who are thought to have committed these acts of torture, for them to explain the reasons for the torture to the victims and the general public. Such behaviour fails to respect human dignity and violates human rights and is not in compliance with calls to put an end to violence in Papua. All parties should choose the path of peace and dialogue as the way to solve the problems. The head of public relations of the Cenderawasih military command, Colonel Ali Hamdan Bogra was asked to confirm that these acts of torture were perpetrated by members of the TNI security forces but he refused to respond.. The torture was preceded by cheap provocations from the TNI Battalion 756 saying that a TPN group in Umapagalo Kampung had held a meeting with the people of Kampung Umapagalo. After hearing about this meeting, the military commander organised a sweeping operation. During this operation, further acts of torture occurred. According to Bucktar Tabuni, the KNPB sent a report about the torture perpetrated by the TNI, along with photos of the victims to the central committee of the KNPB as well as sending it to the media. After listing the names of the twelve victims, the KNPB said that these acts of violence were accompanied by screams of abuse and the victims were beaten with wooden truncheons, kicked with heavy army boots and threatened with rifle butts as well as gunshots. A report of these acts of violence by the TNI against the twelve civilians was then submitted to the police in Kuruku but the police refused to accept it, saying that the operation had failed to conform with legal procedures. According to Buchtar and Mako Tabuni, the victims of this incident intend to submit this case to the district court in Wamena. A spokesperson for Buchtar and Mako declared that the Cenderawasih military commander should accept responsibility for the actions of his men in Kostrad 755/Kurulu. He said: From now onwards, we will not accept any attacks against the civilian population in the Land of Papua because these activities by the Indonesian military are acts of subversion (makar) in which members of the community were attacked by members of the state apparatus without there having been any acts of resistance by the local communities.